Ooni brings real woodfired pizzeria capabilities to the backyard, helping homeowners enjoy delicious and fresh pizza inside of 60 seconds without having to spend a lot of money on a brick woodfired oven. Instead, this portable unit takes advantage of propane and high intensity burners to produce the same kind of temperatures commercial pizzerias use to cook their pies. Heating up in just 10 minutes, delicious pizza can be prepared inside of 60 seconds with multiple pies able to be cooked one right after another with no need for reheating. 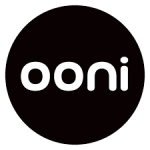 Free delivery is available from Ooni on all purchases of $100 or more. Uuni Pro Outdoor Oven Starting From $599. Get Uuni Pro Outdoor Oven starting from $599. Uuni 3 Pizza Oven Starting From $299. Get Uuni 3 Pizza Oven starting from $299.